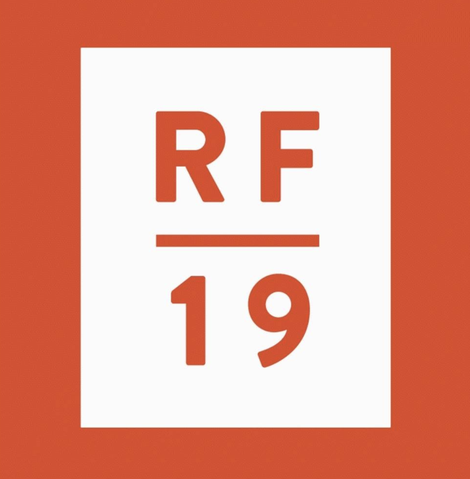 The Electric Frog and Riverside Festival today announced the first artists that will be performing at this year's event. The electronic music festival, which takes place in the grounds of the Riverside Museum in Glasgow, situated on the banks of the River Clyde, brings together some of the biggest and best electronic artists and DJs for one weekend of madness at this iconic location. 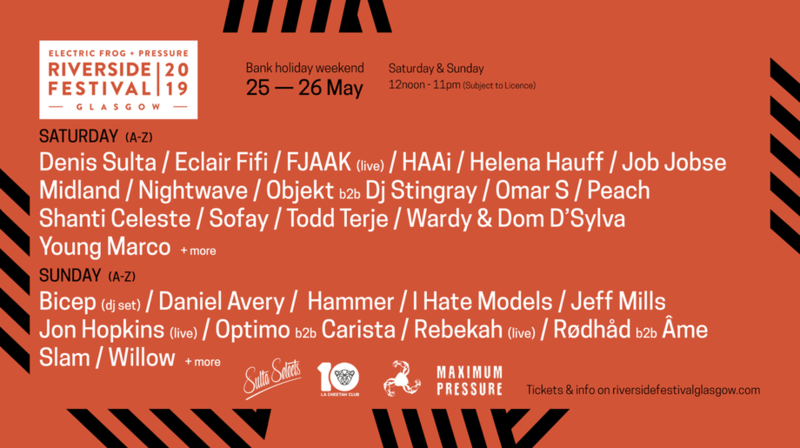 After last year’s huge event, this year’s highly-anticipated announcement will see Denis Sulta, Eclair Fifi, FJAAK (live), HAAi, Helena Hauff, Job Jobse, Midland, Nightwave, Objekt b2b DJ Stingray, Omar S, Peach, Shanti Celeste, Sofay, Todd Terje, Wardy & Dom D’Sylva, Young Marco all perform on the Saturday. Holding court on the Sunday are BICEP (DJ set), Daniel Avery, Hammer, I Hate Models, Jeff Mills, Jon Hopkins (live), Optimo b2b CARISTA, Rebekah (live), RØDHÅDb2b Âme, Slam, Willow and more.